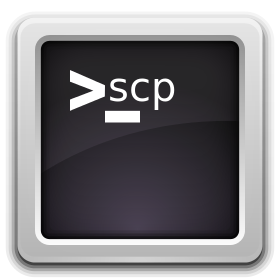 scp allows files to be copied to, from, or between different hosts. It uses ssh for data transfer and provides the same authentication and same level of security as ssh. Thanks Stewart Macleod for port example.